Pathogenesis and Pathophysiology. Craniosynostosis refers to the premature fusion of one or more of the cranial sutures. The premature fusion of one or more sutures results in abnormal and often asymmetrical growth of the cranium with resulting effects on both the underlying brain and the outward appearance of the head. In patients with craniosynostosis, the brain may show a nonprogressive hydrocephalus. 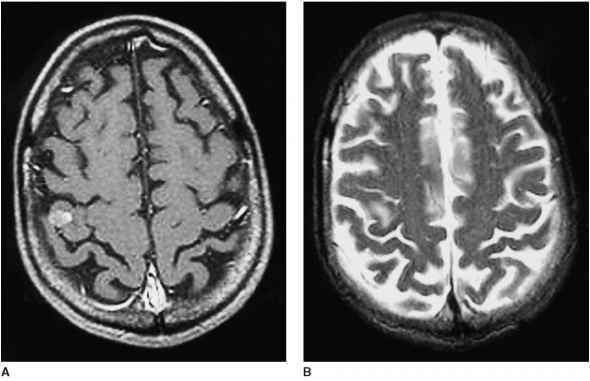 Intracranial pressure may be elevated even in the absence of hydrocephalus and also in cases in which the absolute intracranial volume may, in fact, be increased (such as can be the case in sagittal synostosis). Significant advances in the pathogenesis of craniosynostosis have recently emerged by the identification of mutations in members of a family of receptors for fibroblast growth factors. Point mutations in the fibroblast growth factor receptors (FGFR) were first recognized in the FGFR2 gene in Crouzon's syndrome and then also in Apert's, Jackson-Weiss, and Pfeiffer's syndromes. FGFR1 was also found to be mutated in Pfeiffer's syndrome. These findings have clearly linked these genes to the development of craniosynostosis.y Many of these syndromes have overlapping defects in other parts of the musculoskeletal system and other organ systems that are likely to result from the pleiotropic expression of the FGFRs. Mapping of the mutations in the FGFRs has shown that mutations in different parts of these receptors, including the intracellular, the extracellular, and the transmembrane domains, account for some of the variation in clinical expression. At present, the reason why mutations in different regions of these genes have such unique phenotypes is speculative. Some of the mutations render the receptor constitutively active, explaining the dominant inheritance. Several syndromes associated with a dwarfed stature can also result from mutations in an FGFR. Specifically, thanatophoric dysplasia and achondroplasia or hypochondroplasia result from mutations in FGFR3.y Some cases of thanatophoric dysplasia include a cloverleaf skull, a severe form of craniosynostosis (see later). It is already clear that other genes are also involved in the development of craniosynostosis. y For example, mutations in the homeobox gene MSX2 have been linked to the Boston type of craniosynostosis^ but appear to be rare. In addition to these now molecularly characterized syndromes, there are many cases of craniosynostosis that are of unknown etiology, and others arise from apparently nongenetic causes such as the amniotic rupture sequence. with holoprosencephaly. Asymmetrical closure of the lambdoid suture leads to another form of plagiocephaly. These single-suture synostoses can be very mild phenotypically. A particularly severe situation can result from the combined closure of the coronal and sagittal sutures ( oxycephaly). Here, microcephaly and crowding of the intracranial content may result. In the most severe form, the sagittal, coronal, and lambdoid sutures are affected, resulting in the cloverleaf, or trilobed, skull (kleeblattschadel). Patients with the cloverleaf skull anomaly show a bulging forehead, proptotic eyes, and severe neurological impairment. Differential Diagnosis. As noted earlier, craniosynostosis is a defining feature of many syndromes. y Metabolic conditions that can lead to a premature fusion of cranial sutures include hyperthyroidism, hypercalcemia, and hypophosphatasia. Asymmetries of the skull are also seen in nonsynostoses such as hemimegalencephaly, hemiatrophy, and unilateral destructive lesions of the brain that result in a marked size difference between the two cerebral hemispheres. The amniotic band rupture sequence can also give dramatic alterations in skull shape. A small head per se does not mean premature closure of the sutures; retarded brain growth as a primary abnormality has to be considered. Earlier closure of the sutures can be seen under these circumstances. Severe constraint in utero can have the same effect. A number of other position-dependent asymmetries of skull shape can be seen, especially in hypotonic infants, or infants with other external restrictions of skull growth. Finally, there exists a long list of syndromes that include unusual skull configurations not based on premature fusion of cranial sutures. Evaluation and Management. Although skull films were traditionally the modality of choice for the evaluation of craniosynostosis, CT with three-dimensional reconstructions are now the method of choice for the evaluation of the cranial skeleton and planning of management. The goal of evaluation should not only be the delineation of the various anatomical abnormalities but also an attempted specific diagnosis in a given case of craniosynostosis. Direct mutation analysis of the FGFR genes may be appropriate in selected cases. Treatment for the craniosynostosis is surgical and involves excision of the fused suture and separation of the bony margins by an implanted matrix. Good results can usually be obtained, y especially when surgery is performed before 6 months of age. With the demonstration of potentially elevated intracranial pressure in single-suture synostosis, the indication for repair has moved away from purely cosmetic indications. For the kleeblattschadel deformity, early subtotal craniectomy is the only reasonable attempt at correction, although the severity of the overall condition may prohibit invasive treatment. The acrocephalosyndactyly syndromes may require surgical approaches to the associated hand malformations, particularly polydactyly and syndactyly. Careful attention needs to be paid to vision and hearing in patients with craniosynostosis. Hearing aids may be necessary for adequate communication and language development. Shunting for hydrocephalus is rarely necessary. 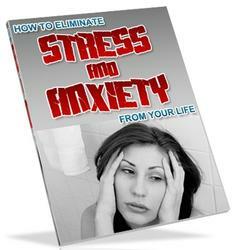 It seems like you hear it all the time from nearly every one you know I'm SO stressed out!? Pressures abound in this world today. Those pressures cause stress and anxiety, and often we are ill-equipped to deal with those stressors that trigger anxiety and other feelings that can make us sick. Literally, sick.